Anyone who has been on campus in the past few weeks (not to mention the past year) has noticed some construction going on at the Recreation Center. Construction on campus can lead to traffic and parking headaches, noise, and re-direction or confusion, but is also important progress on improving life and learning for our students, faculty, staff, and visitors. As these photographs show, Seton Hall today is quite a bit different from the Seton Hall of yesterday, and as we continue to grow and develop, who knows how the campus will look in another 50 or 100 years? 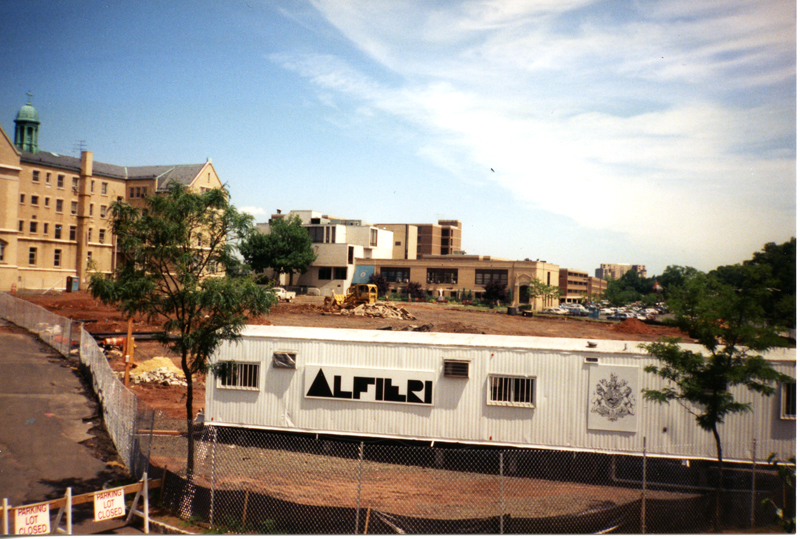 Construction, like change, is an essential part of campus life – so see some of the changes our predecessors oversaw! This postcard shows the campus as it appeared in 1916. The Administration Building seen here is now President’s Hall and the Library is present-day Mooney Hall. The Chapel and Bayley Hall are in their present locations, but where we would today see McQuaid and Jubilee Halls are grass and trees. Aerial view of SHU South Orange campus with Corrigan Hall under construction, circa 1943-1944. 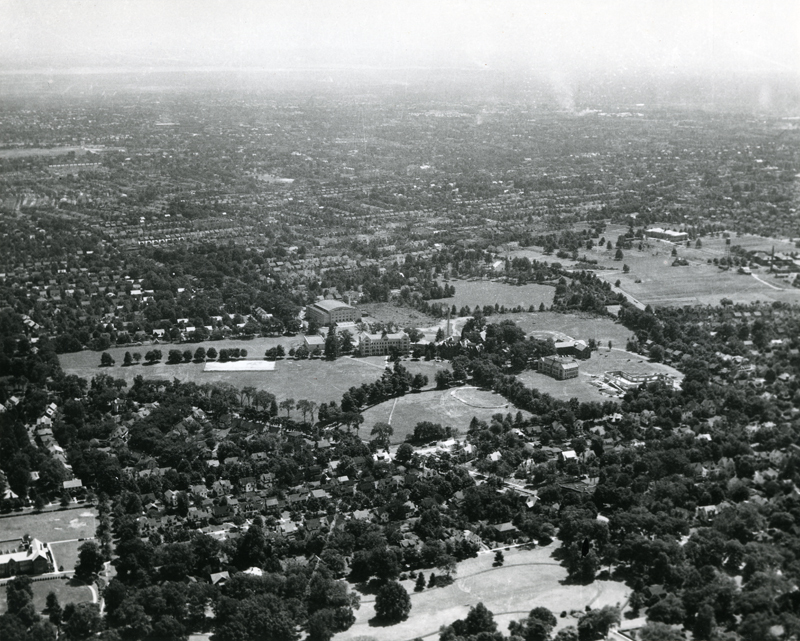 This aerial view of campus in the 1940s shows construction on Corrigan Hall, and an early incarnation of the present-day Richie Regan Athletic and Recreation Center behind Mooney Hall. Boland Hall has not yet been built. 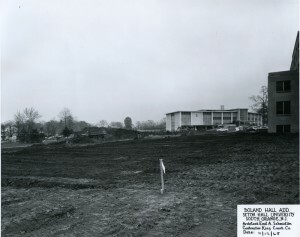 Addition to Boland Hall- progress of construction, 1965. 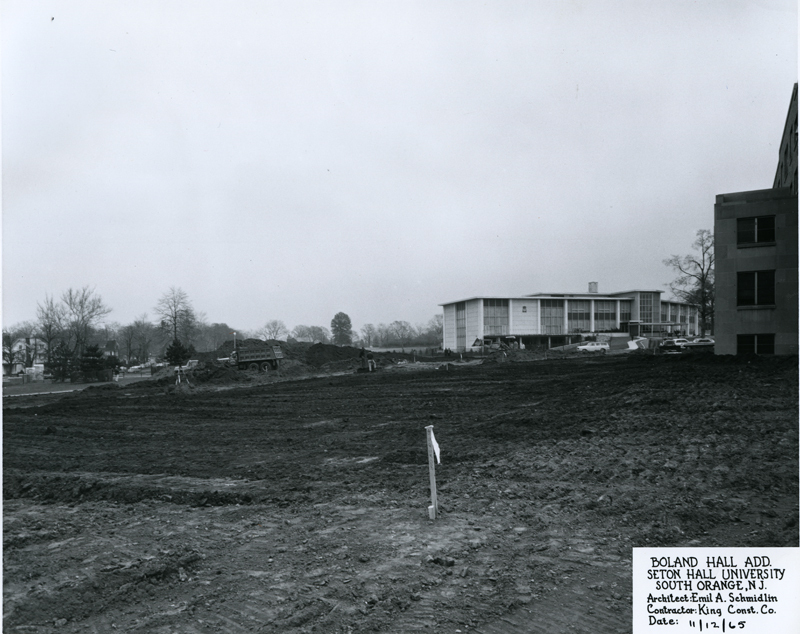 This picture from 1965 shows construction progress on Boland Hall, with Corrgian Hall in the background. 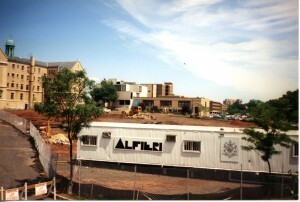 Construction for Walsh Library. View towards recreation center and parking deck. Construction for Walsh Library. View towards Duffy Hall and Mooney Hall. Walsh Library was constructed in the mid-1990s. 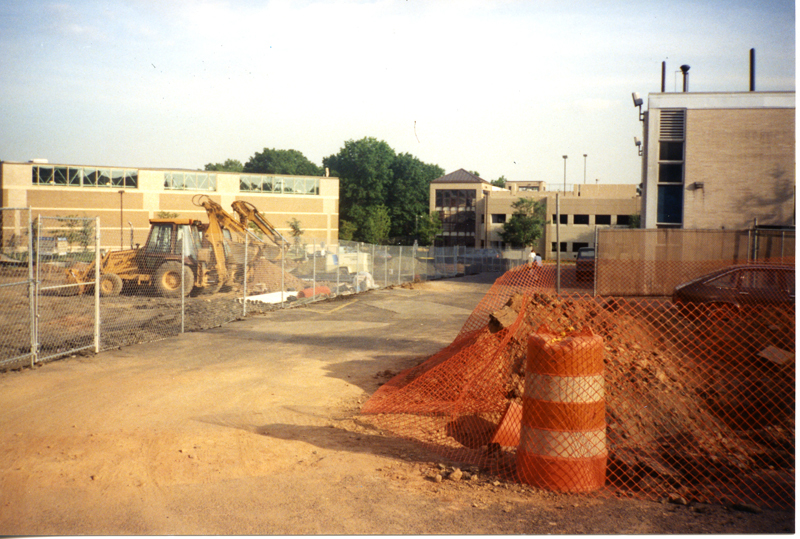 These photos show very early stages of the construction, and the effect this had on the south-east corner of campus. For more pictures of Seton Hall as it looked in days past, check out the digital collection of Seton Hall University photographs!